The first Georgian fire engine developed on the basis of Ford F-550 as a result of collaboration between Delta and Rosenbauer. The vehicle is equipped with a 1,500 liter water tank and can be equipped with a remotely controlled water cannon. Armor level guarantees protection from a 7.62X39 mm armor-piercing bullets. According to the customer’s needs, even higher levels of protection are available. LEPL State Military Scientific-Technical Center “DELTA” is working on renewal of the hail suppression works in Georgia, ceased 25 years ago. The mission is to protect 600 000 Ha of cultivated area from hail, in the Kakheti region. The project was initiated by the Georgian government in 2013. According to the plan, on April 2015 the project should be completed and active works on hail suppression should be commenced. Hail formation requires environments of strong, upward motion of air with the parent thunderstorm and lowered heights of the freezing level. 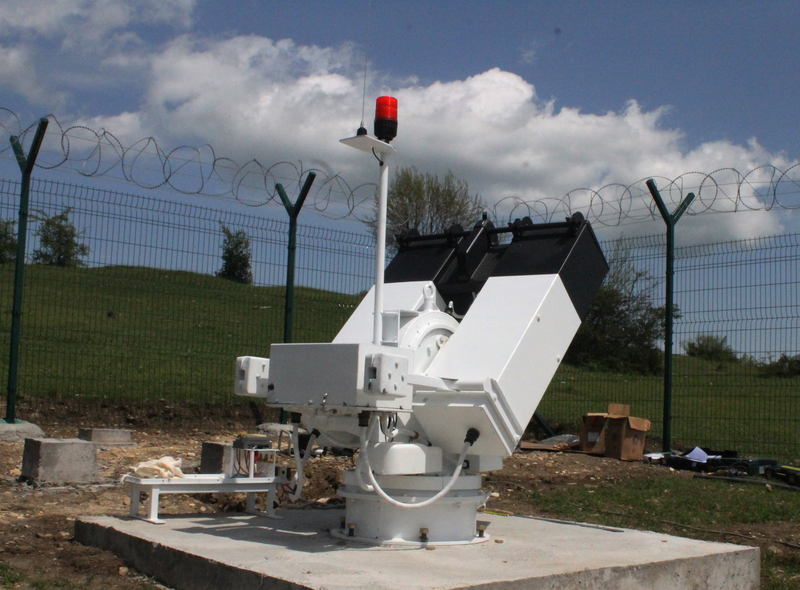 There are various methods available to detect hail-producing thunderstorms using weather radars. Hailstones generally fall at higher speeds as they grow in size, though complicating factors such as melting, friction with air, wind, and interaction with rain and other hailstones can slow their descent through Earth’s atmosphere. Hail causes serious damage to human-made structures and, most commonly, farmers’ crops. 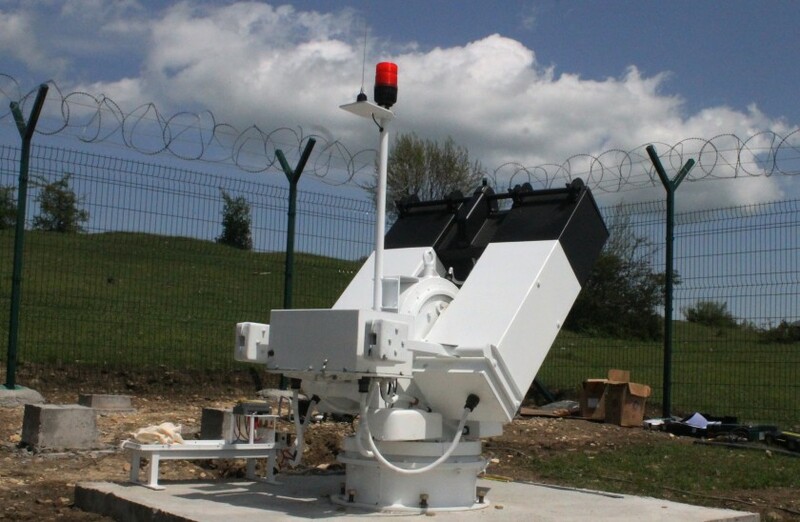 The aim of hail suppression works are to dramatically reduce in size the descending hailstones or to change them into the raindrops, by dispersing special reagent (Silver Iodide) in the defined areas of clouds, before the hailstones are formed. 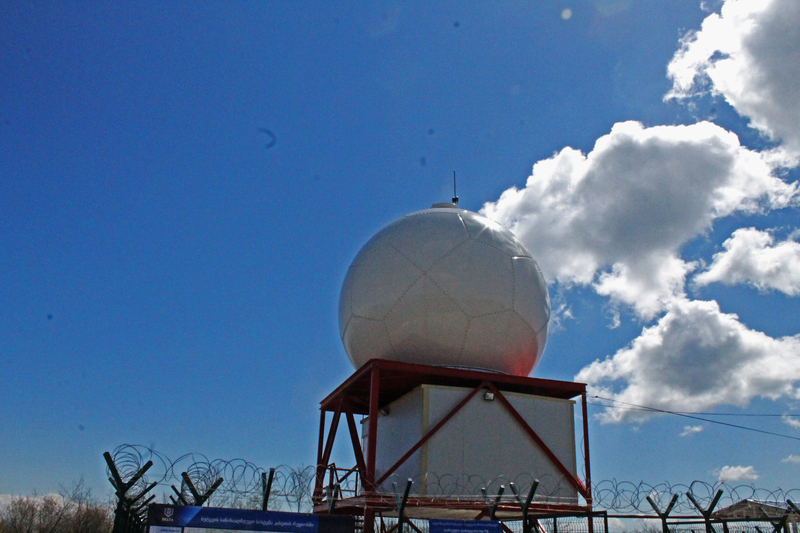 The Anti-hail system was operational in Georgia from 1960 to 1990. The similar works are ongoing in several countries, including: Bulgaria, Macedonia, Russia, China, Argentina and few more. It took decades of work to create and develop the methods, models and algorithms for hail suppression activities. Today, our mission is to develop new methods and models, based on all the works done before, using modern technologies that enables us to create automatized systems, which require less workforce, which are more accurate and much faster. All those characteristics reduce the overall cost of the system and are much more effective. The weather radar is a C-band, dual polarized Doppler radar, which generates all the data to forecast hail-producing thunderstorms. All that information, plus the databases of hail-consisting clouds, are used by the software with the specific algorithms to generate the areas, where the silver iodide reagent is to be dispersed. The Central Control Station is a dislocation place for the personnel, where all the information from weather radar and rocket launching sites are gathered, processed and where the automatized fire control system is. 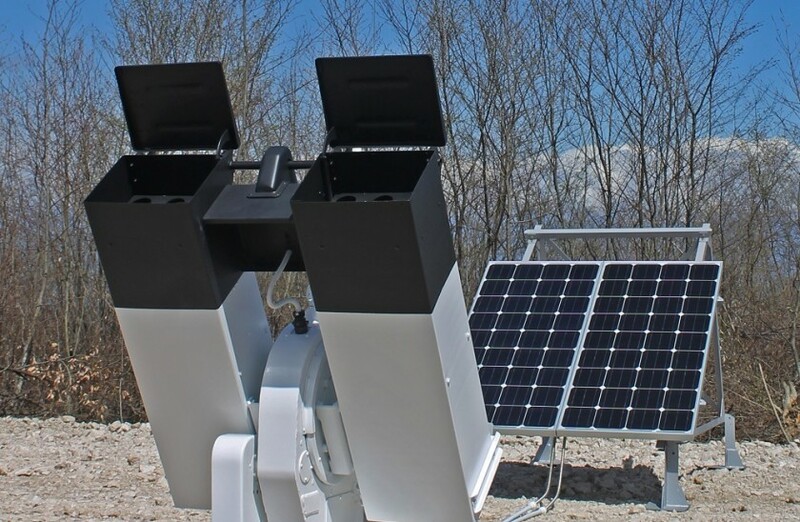 The Automatized Fire Control System receives the data and the areas of seeding from the special software of weather radar, defines optimal launching site, the number of rockets needed and sends the orders to the proper launching devices. 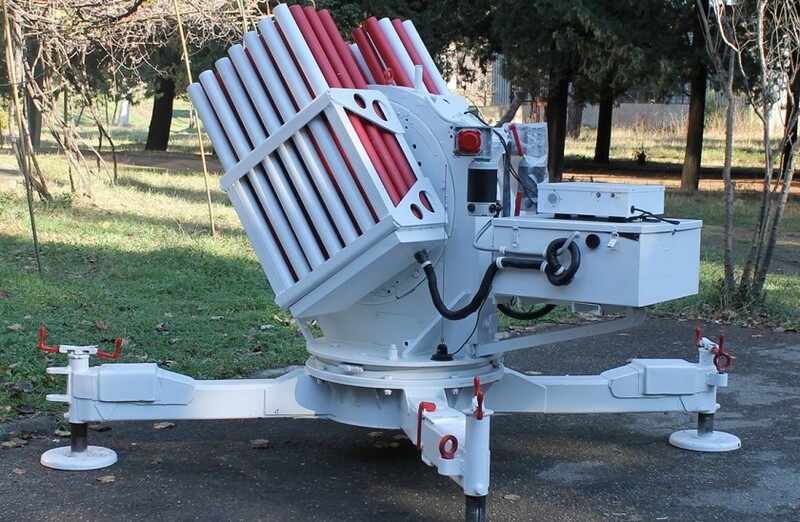 To protect the whole region of Kakheti, it is required to place 85 launching points – one in every 10 km., which is a working range of anti-hail rocket. 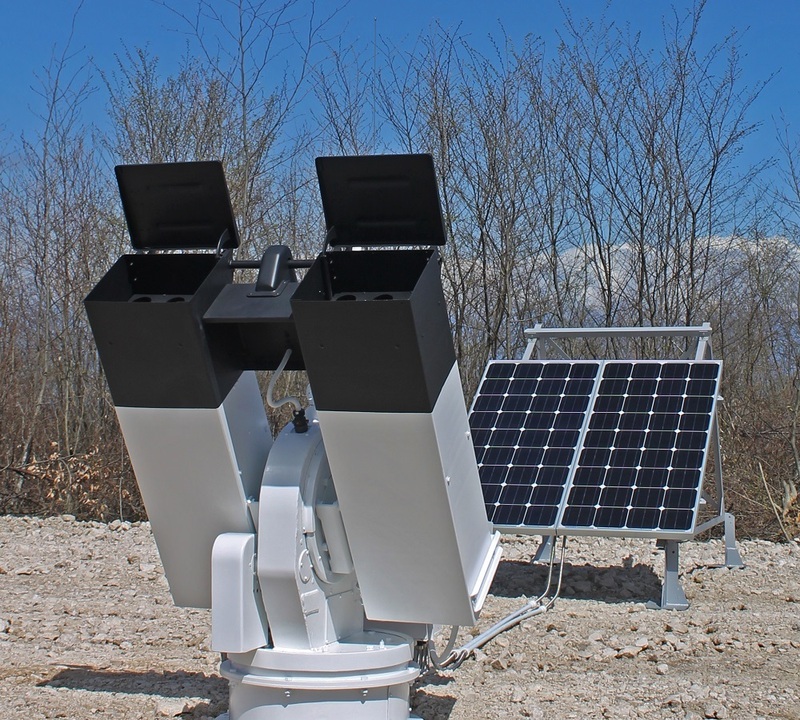 There is a rocket launching device, solar panel, grounding and security systems installed on the launching site. 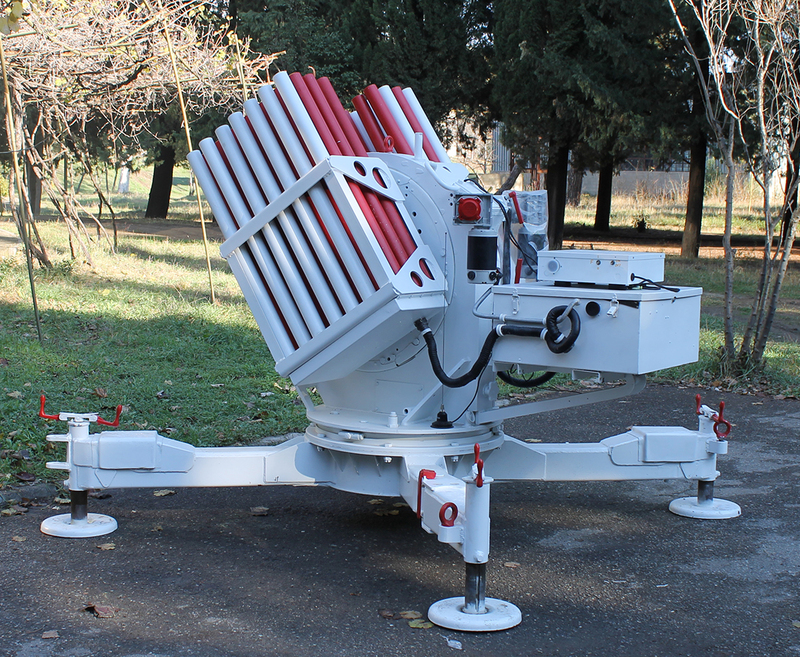 The launching device carries 24 anti-hail rockets, aims to any given direction and fires. 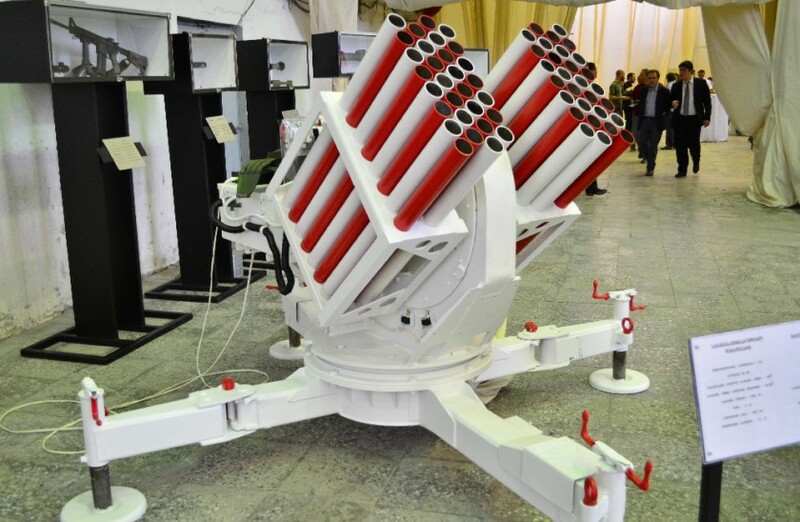 The Anti-Hail Rocket is an unguided, 60 mm rocket, which carries 50-70 gram of silver iodide reagent and disperses it at an altitudes of 2.5 -4.5 km, for 30-35 seconds. The number of rockets needed during one year is estimated to be 5000 units.